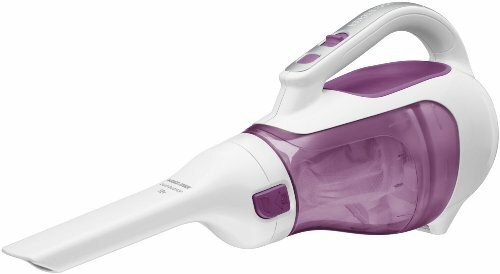 The Black & Decker CHV1210 12-Volt Cordless Hand Vac has 50% more reach than the previous Dustbuster design for less bending and better accessibility. 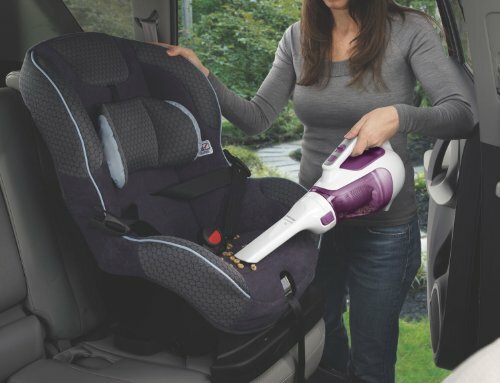 Lightweight and portable for quick clean-ups! 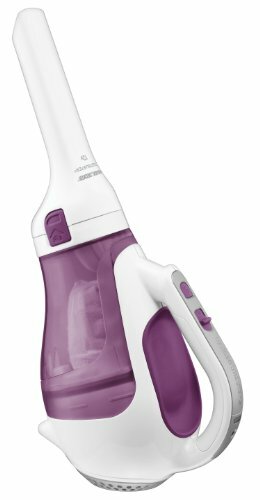 The rotating, slim nozzle targets dirt in tight spaces. 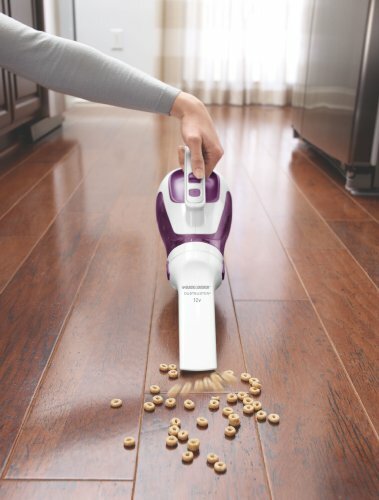 The wide mouth design means this vac can effortlessly scoop up large debris. 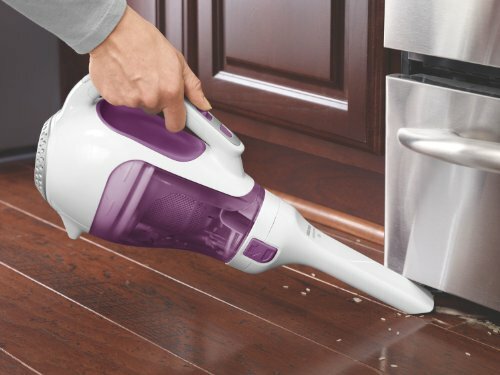 Cyclonic action spins dust and debris away from the filter so suction power stays strong. A Translucent, bagless dirt bowl makes it easy to see dirt and easy to empty. 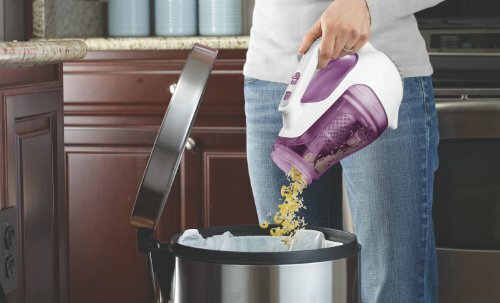 Removable, washable dirt bowl and filters allow for a thorough, hygienic cleaning. 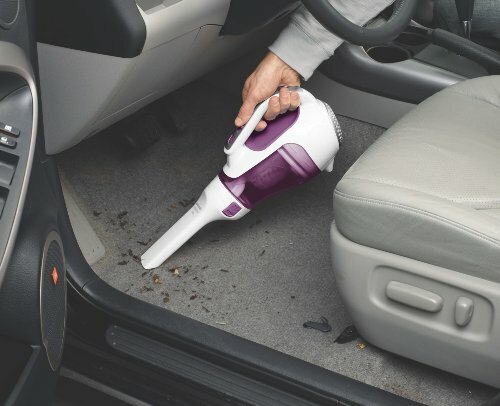 It uses a 3 stage filtration system that means less clogging and cleaner air exhaust. I can be stored in 3 versatile ways: horizontally, vertically, or mount on a wall. 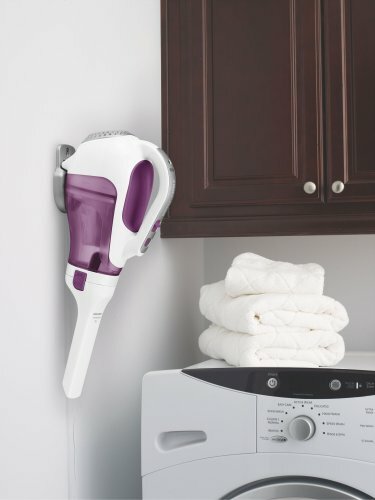 It has a charging indicator light that allows you to always know you have a good connection. The Energy Star approved charging system saves energy and helps protect batteries.